On behalf of all our dynamic team at The FIRM and my family we wish each and every one of you a beautiful Christmas and a safe happy holiday. Wishing you, your family and friends a wonderful Christmas, with love, laughter, and a prosperous year ahead for 2016. Trust your week has been as productive as mine as we are getting even closer to Christmas now we are in the first week of December OUCH!!! 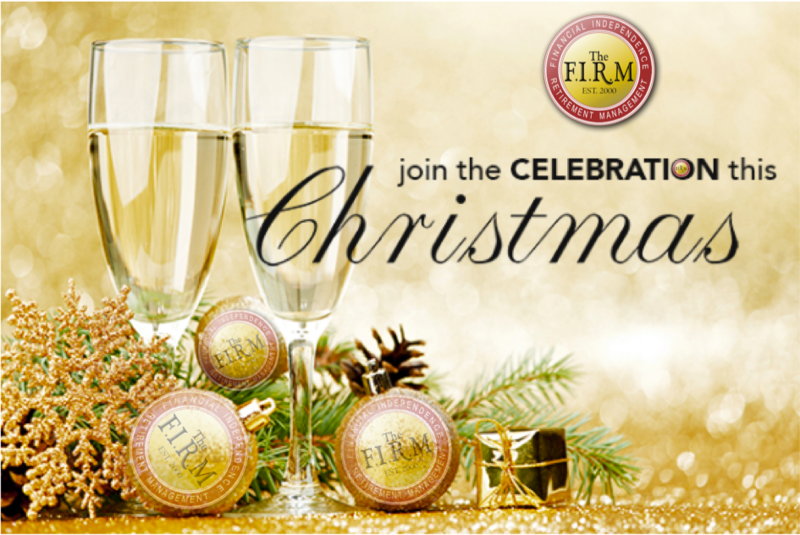 Holiday time is around the corner so check out the bargains through The FIRM's Holiday Club coming soon! I would like to share with you an article from Jenna Rathbone, Business News Australia, that has significance to all our investments here on the Gold Coast. INTERNATIONAL visitor expenditure has hit an all-time high on the Gold Coast, with more than 850,000 tourists spending $1.109 billion in the city during the year to the end of September. Figures released by Tourism Research Australia show that Australia is experiencing a period of strong growth in tourism with international visitors spending a record $34.8 billion across the board. This figure is up 13 per cent for the year to the end of September and is the highest percentage growth in total trip spend since 2001. Education is a growing driver for international visitors, with visitation up 19 per cent and nights up 18 per cent. Total trip spend for education visitors increased by 27 per cent for the year to $8.2 billion, which drove 43 per cent of the overall increase. 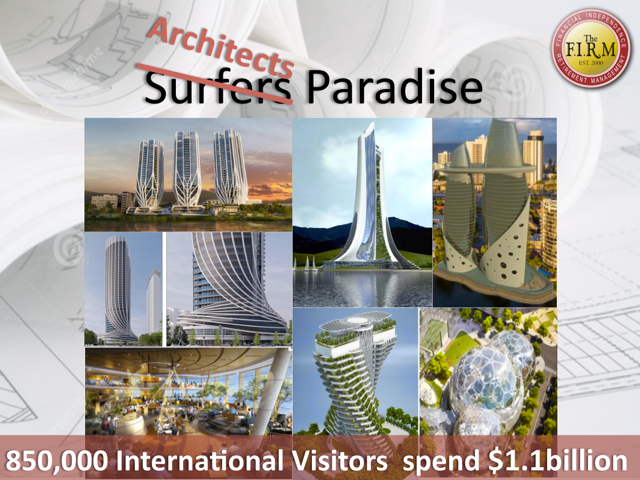 Looking at the Gold Coast, over the last three years, international visitor expenditure has increased by an average of 10.5 per cent per annum. "This strong and sustained growth has seen the Gold Coast playing in the same league as capital city competitors Sydney, Melbourne and Brisbane," says Gold Coast Tourism CEO Martin Winter. Since 2012, inbound tourism to the Gold Coast has increased by an average of 5.9 per cent per annum to reach 872,000 in the year ending September 2015. New Zealand, were up 2.1 per cent, while the UK was up 6 per cent and South Korea up 10.4 per cent in the 12 months to September 2015. "Although visitors from Japan were down 2.9 per cent, over the past six to 12 months we've seen the average length of stay continue to rise," says Winter. "What's more, the new services from Tokyo into Brisbane are likely to help turn this around and could see this market return to growth in the near future." NSW was the most visited state, attracting 3.4 million tourists in the recording period followed by Victoria with 2.3 million and Queensland with 2.2 million. Looking for a great value deal for your next holiday? Trust your week has been as productive as mine as we are getting closer to Christmas now with only roughly 6 weeks till Christmas... OUCH!!!! 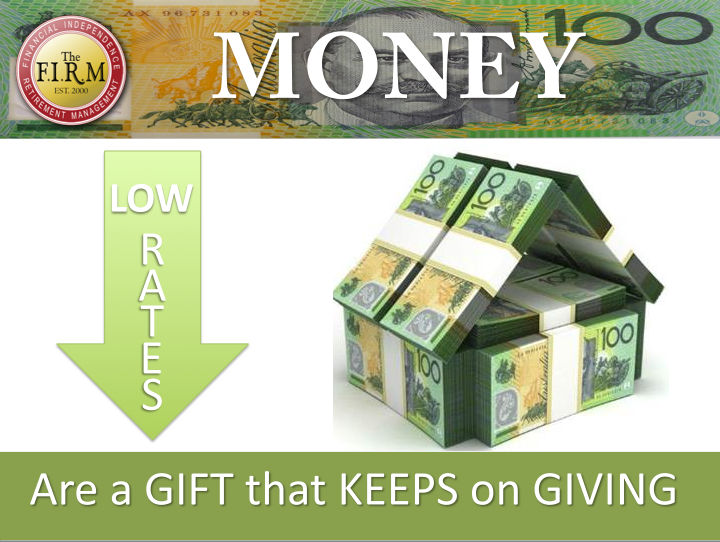 The present low interest rates are a gift that keeps on giving and borrowers should celebrate the fact they have a once in a life time chance to really make a dent in that mortgage, according to Noel Whittaker, Courier Mail. 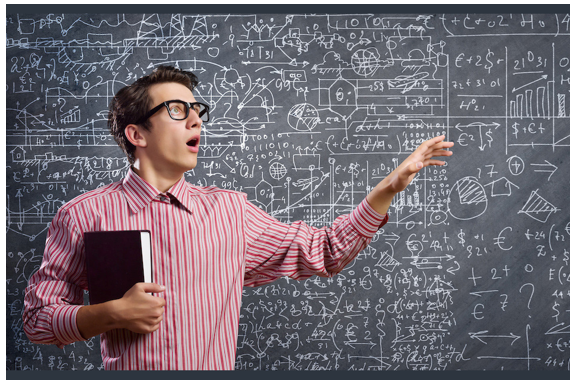 "You need to understand the way the numbers works. At a rate of 5%, a loan of $100K would require a repayment of $537 a month if the term was 30 years." "However, if the rates rose to 8%, the monthly payment for a 30 year term would be $734. The problem with a 30 year term is that you maximise the amount of non-deductable interest you pay. The good news is that, at low rates of interest, it does not take a big increase in repayments to save a packet." says Noel. For more details, speak to your Financier who structured you in the past for a "Health Check" to make sure you are maximising your benefits. 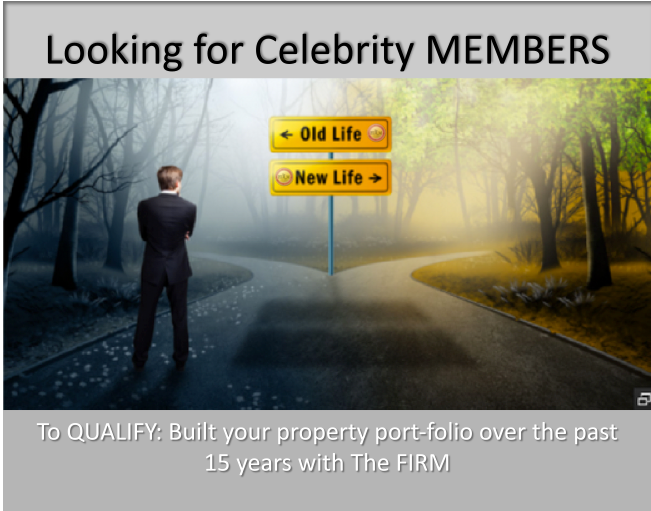 Yes, it is time for you to be a celebrity member, as we are inviting our long term members to share their experiences of building your property port-folio over the past 15 to 20 years. So, come and join us for a bit of fun!!! 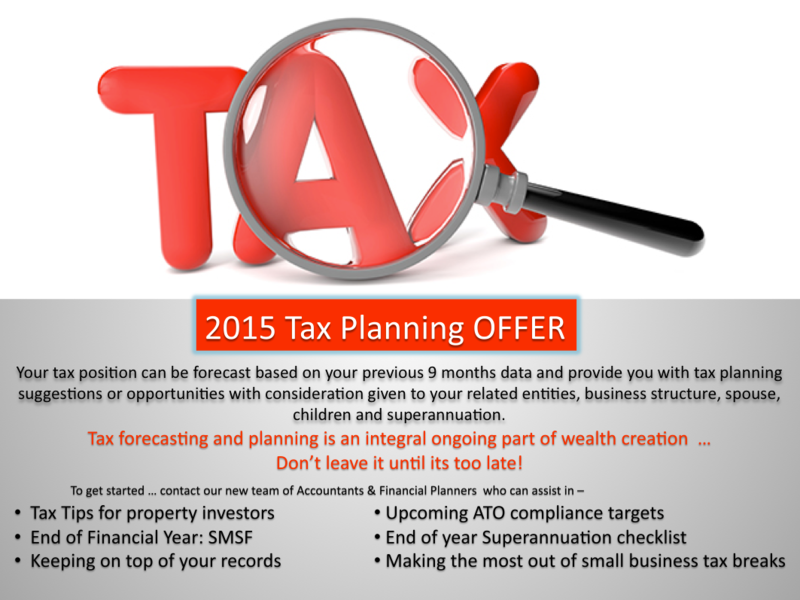 For more details call me on 0414 888 186. Have an awesome week and thank you for your on-going support! Another beautiful morning for a Sunday, I trust your Sunday breakfast of short loin lamb chops, grilled tomato,bacon and eggs washed down with a glass of Moet Champagne and freshly squeezed oranges is equally as enjoyable! Gold Coast 600 V8 SUPERCARS From our kitchen we can hear the rev of the V8 supercars engines as they run around the Gold Coast circuit gaining pol position for the big race which will be starting very soon so gotta go ...Have a great day!!! The FIRM's Future Fund is now picking up serious traction which I would love to talk about, however best to call me direct so I can introduce you to our colleagues who can explain the attractive high interest rate returns over short term periods relating to new property in more detail. Brooklyn Apartments have had great enquiry since the launch last week as this development is perfect for University lifestyle tenants or live in yourself. Have an awesome weekend and thank you for your on-going support! What a fabulous day here on the Gold Coast today with the exciting news about our new development sites being signed up. Our modular construction is finally coming to fruition, combined with our FIRMTEC light weight concrete panel that took 7 years to approve into the Australian building industry. It's all about timing, more details to follow soon, so watch this space. Alongside our capital Brisbane, Queensland's broader south-eastern housing market has popped up as a potential bright spot in an otherwise fairly flat medium-term outlook for Australian property prices. The BIS Shrapnel also report forecasts price growth of 13% on the Gold Coast over the three years to June 2018. The G:link light rail, which links Griffith University's Gold Coast campus to Broadbeach, has been open to the public since July 2014, adding to a network of local buses and train routes connecting Gold Coast to Brisbane and beyond. Not to mention the upgrade to exit 54 off the M1 motorway which leads to the site of the Coomera train station and billion dollar Coomera Town Centre which will certainly help the values of Beattie Rd developments that we all invested in over the past 15 years. 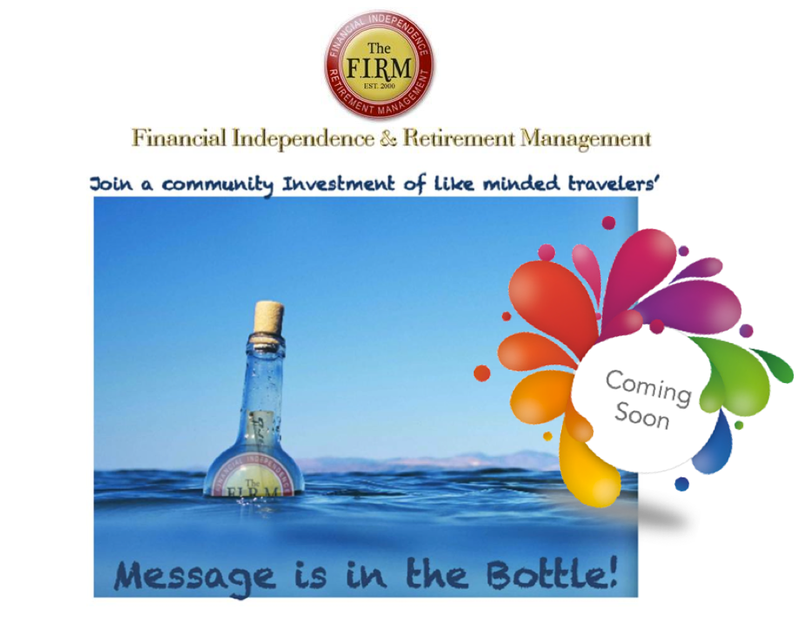 The FIRM's Future Fund is NOW OPEN! Trust you are planning a relaxing weekend as the weather here on the Gold Coast looks very promising Where did winter go??? It's been another volatile week in the sharemarket, with share prices - particularly bank shares - all over the place, according to Noel Whittaker' general advice last week. As can be expected, many inexperienced investors are asking whether they should bail out incase the market falls further. Others are asking whether this is the right time to get in. When is the right time to buy? Who knows? It has been well proven that nobody has been able to predict share prices accurately over a long period, so there is no point ducking in or out of the market. Obviously the appropriate percentage of your investment assets that should be in shares is a matter of discussion with your adviser, after due consideration of your attitude to risk. I know many of you have an equal balance of assets in shares, managed funds and property which have all worked over time. 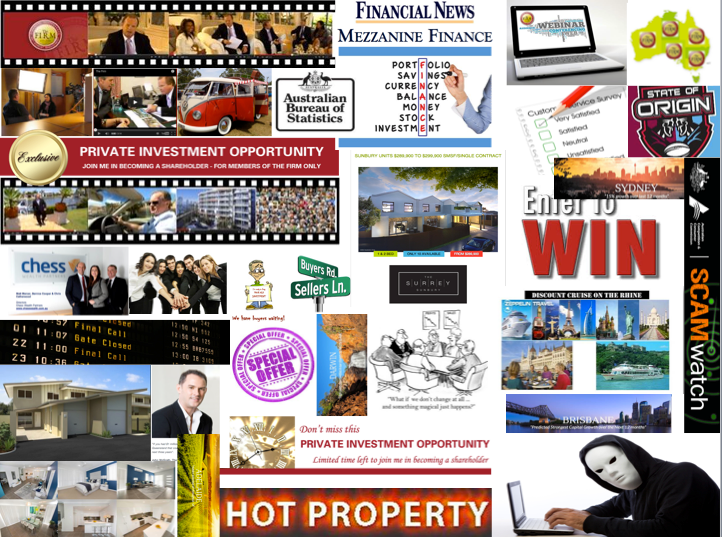 As seasoned property investors we always have been aware this was never to be a get rich quick scheme which and has proven over the years to be slow on the uptake, fuelled by the GFC, however we are starting to see traction now thanks to our migration from the southern States, Chinese investors and first home owners creating a positive increase in property values. So, now maybe the time to consider your options to diversify a portion of your interests into other vehicles. The FIRM's FUTURE FUND has be designed with careful consideration to cater to our ageing members financial position to liquidate their older property investments and convert to the Future Fund yet optimise maximum performance to our younger generation. The Future Fund has been carefully crafted to offer stability, solid returns and the ability to be more flexible, yet individually taylor made to your specific financial circumstances. Trust you are having a relaxing weekend! We have been set back at least a month now due to technical difficulties and plenty to catch up on now, so I apologise in advance for the 3 important announcements at the same time. We appreciate your patience for those members responding to selling their 10 to 15 year old properties as there have been some very strategic structures implemented that will certainly benefit you for the future. We will be in contact with you shortly to explain. 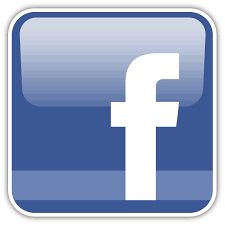 Our new web-site and Facebook site is up and running We have moved into the next millennium which has taken some time to do so have a peek and let us know if we can improve. Gold Coast property market picks up again after GFC knocked the wind out of its "sales"
Great news again with the Interest Rates stabilised for another month as this maybe the reason why so many members are contacting me recently to liquidate their 10 to 15 year old properties now. They may see this is the perfect storm whilst the experts are talking the Gold Coast up showing increases in equity in all the areas we focused on years ago. The question on everyone's lips is .How long before our bubble begins to strain here on the Gold Coast? Look what has happened to Melbourne now as it's handbrake has been applied with an over abundance of new construction, serious price hikes and no buyers yet Sydney is showing no signs of slowing down with average property prices way over $1ml. SEVEN years ago after the global financial crisis knocked the wind out of all our investment properties here on the Gold Coast, the region has started racking up double digits again. Some of the analysts are very excited on the momentum could do in the market that is experiencing not just jobs turnaround but a resurgence of tourism activity. 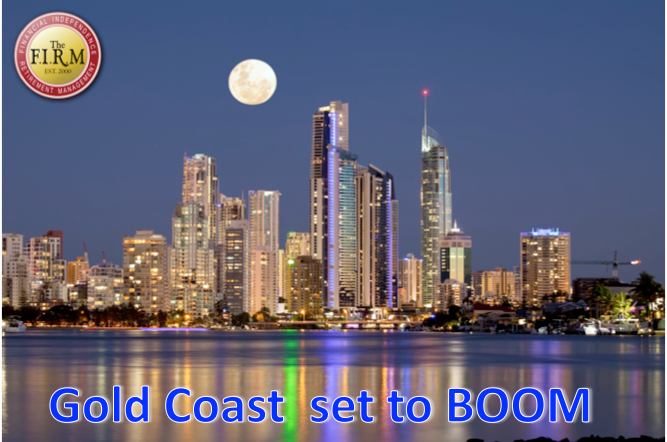 Industry analysts across the country have firm expectations that the Gold Coast will be in the top echelon of property market stars by the end of 2015 and for the next couple of years. A pipeline of major projects bigger in size than several capital cities has resulted in the 'incredible transformation' in the job market. Net jobs growth of 19,662 for 2013was blown out of the water by the 181,856 net jobs in 2014. The big projects include the new $1billion Coomera Town Centre, a $2billion Commonwealth Games Village and a $700ml Pacific fair facelift. In addition to this there are another significant developments worth $billions. The Gold Coast was also expected to see a surge of Asian buyers, according to Knight Frank head of research and consulting Matt Whitby. He said the heavy investment in prime office buildings and yield compression in gateway cities Sydney and Melbourne Chinese investors have begun looking increasingly at opportunities in other key cities and other property sectors which includes the Gold Coast. 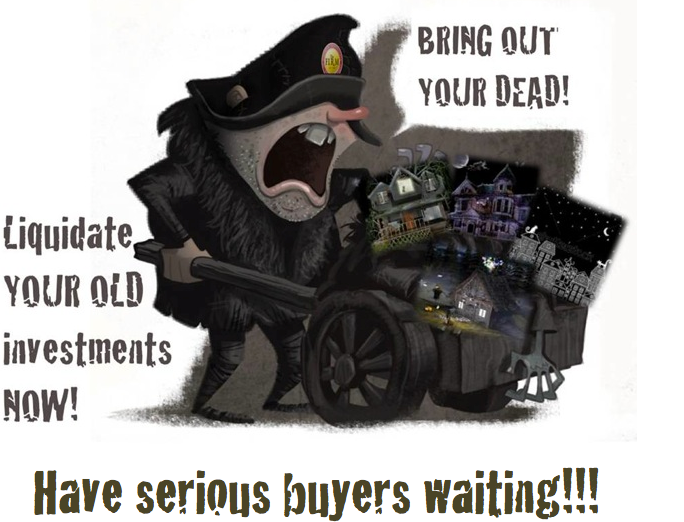 So, many of you have been asking me over the past couple of years when is the best time to sell your old port-folio NOW is the time to consider your options, so email me or call so I can introduce you to our new buyers that I have waiting to buy property NOW!!! Well here we are now entering the next level of communication as we join into Cyberspace which is a little scary for some of us like me. GULP!!! 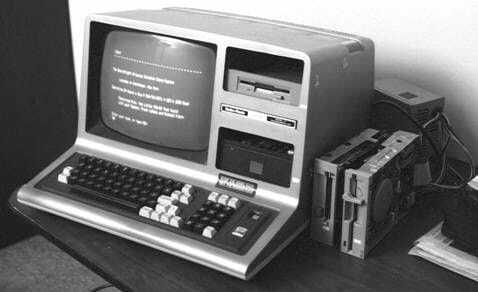 I apologise in advance if there are any errors as my Guru assistant has left for the day. I think you connect with the preferred tabs above then "LIKE" my post then we are connected. If I am doing this wrong I am sure you will let me know, please. After 15 successful years operating the same web-site and format, providing you critical information every day, of every week, of every year, it is time to say good bye to our old faithful technology and introduce you to our new and exciting web site. This fresh new approach will take us through for another 15 years offering a streamline and seamless transition providing additional products and services to our every expanding members. Even though there will be dramatic changes, one thing is for certain that we will continue to maintain our good old fashioned service that you have always enjoyed in the past. Thank you for your on-going loyalty and support as we venture together into the next millennium. 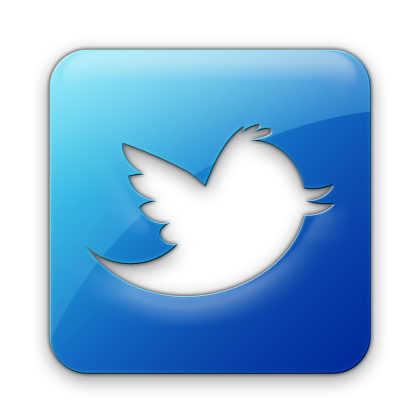 It has been confirmed that we will be going to air early next week so we will be anxious to hear your comments. For many years now it has been a mutual desire for The FIRM members to share their friendship. We have found a perfect solution developing a plan for our BUCKET LIST in an affordable ownership in pure 6 Star Luxury as we enjoy retirement at our own pace together. This is exciting news that I wanted to share with you as we finalize a very attractive Managed Investment Scheme offer exclusive to MEMBERS ONLY. 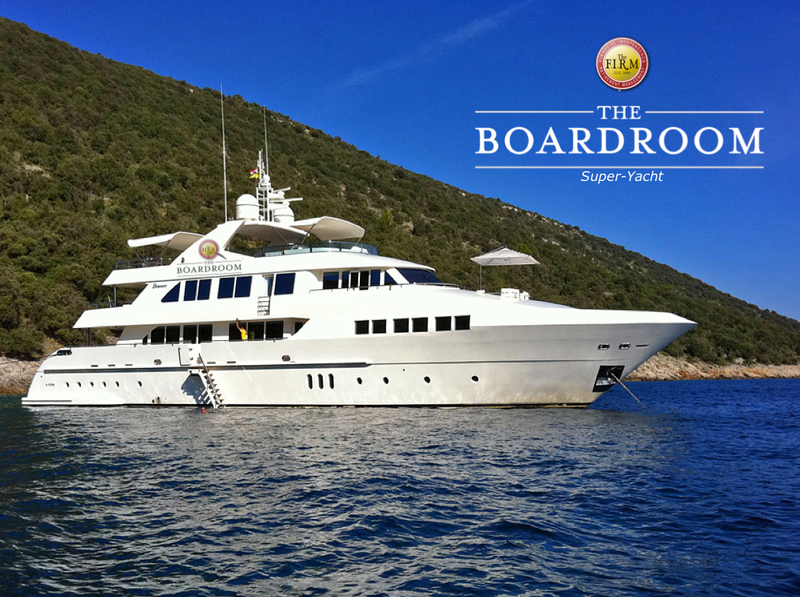 · OWN AN AFFORDABLE SHARE IN A LUXURY SUPER-YACHT OR CHATEAU TO COMPLETE YOUR BUCKET LIST? · THE OPPORTUNITY TO BE PAMPERED BY YOUR OWN PRIVATE 6 STAR CREW FOR ALL YOUR ANNUAL HOLIDAYS ANYWHERE IN THE WORLD? 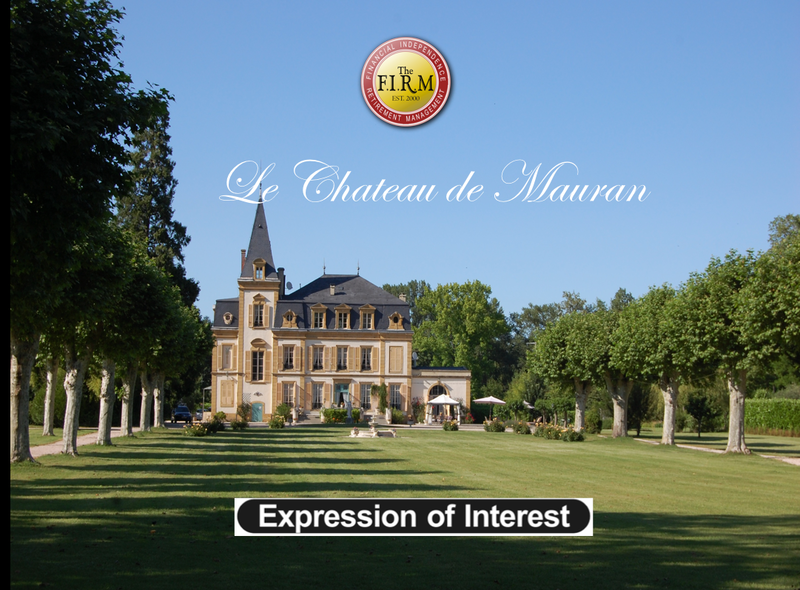 · INVITE FAMILY AND FRIENDS TO SHARE YOUR LUXURY HOLIDAYS? 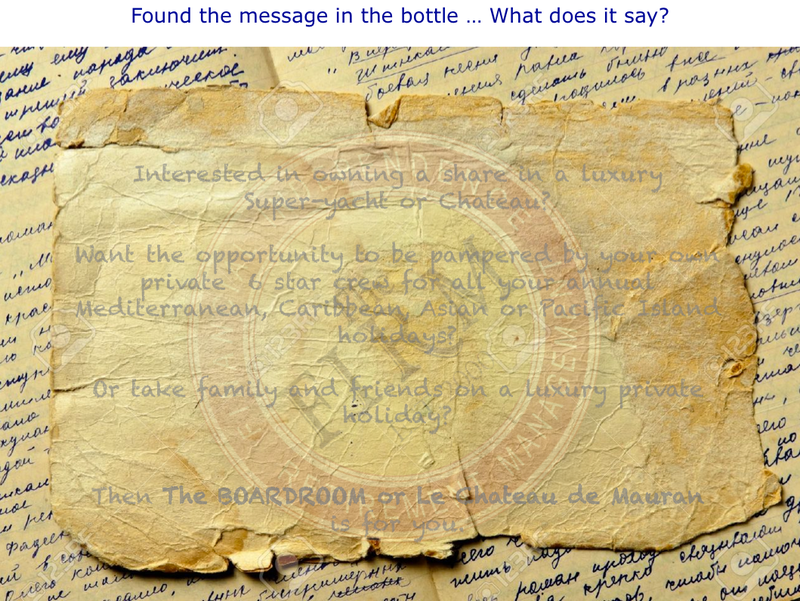 · THE BOARDROOM OR LE CHATEAU DE MAURAN IS FOR YOU!!! 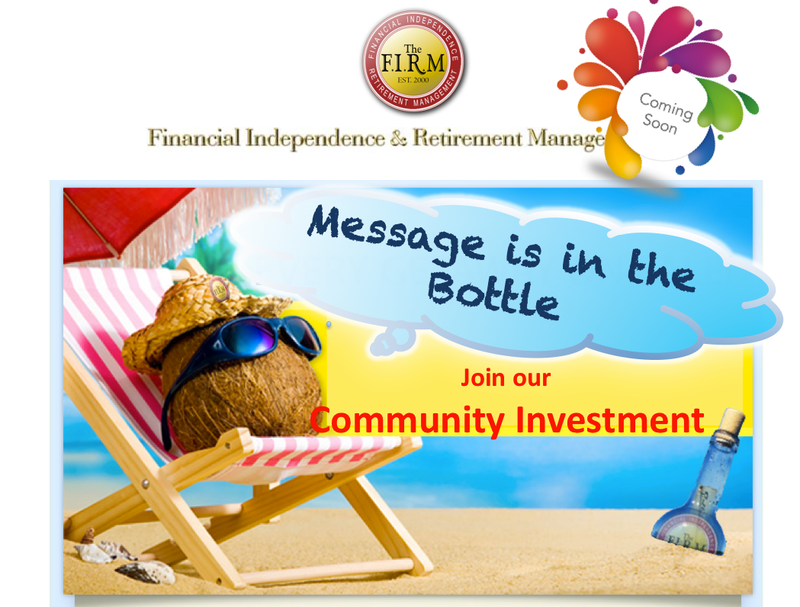 · JOIN OUR COMMUNITY INVESTMENT OF LIKE MINDED MEMBERS NOW! For more details please email me your interest! 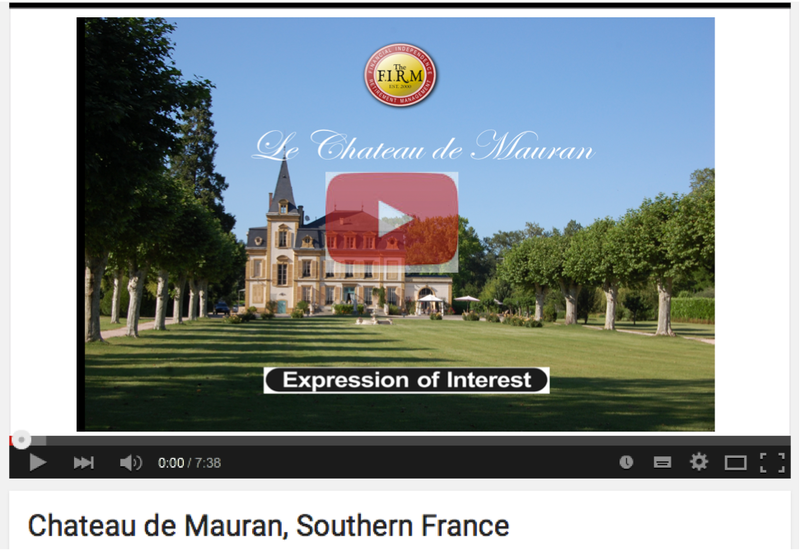 Own a share in a luxury Super Yacht or French Chateau! 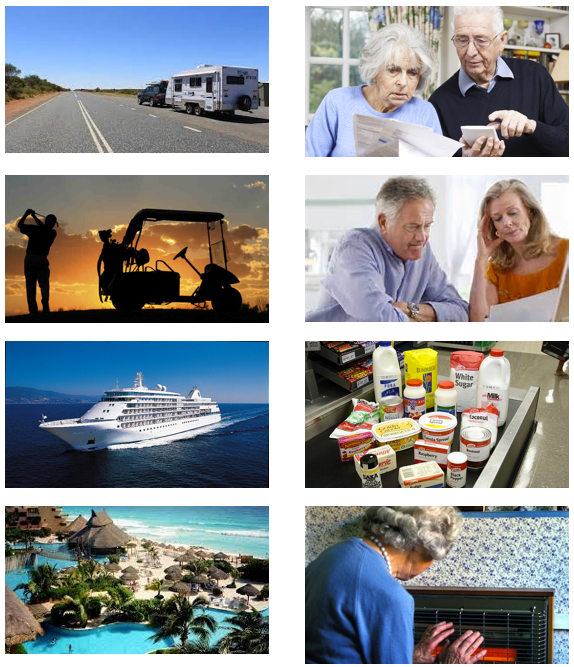 We have found a perfect solution developing a plan for your BUCKET LIST in an affordable ownership in pure 6 Star Luxury as we enjoy retirement at our own pace together. Just had to share this very exciting news from our youngest member of the Ibbitson family and the oldest member of the family taking out the honours. Young Jayden, who many of you have known over the years had reached one of his ultimate challenges last week has paid off. 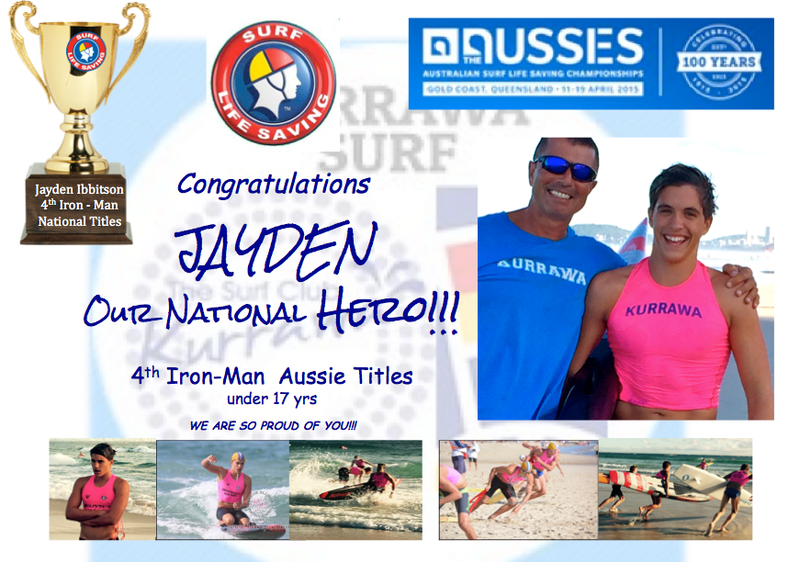 After 12 months of solid early morning training chasing the black line of the pool and after school training at the Kurrawa Surf Club Jayden puts his mark in history coming 4th in the under 17's Aussie Titles for Iron-Man. 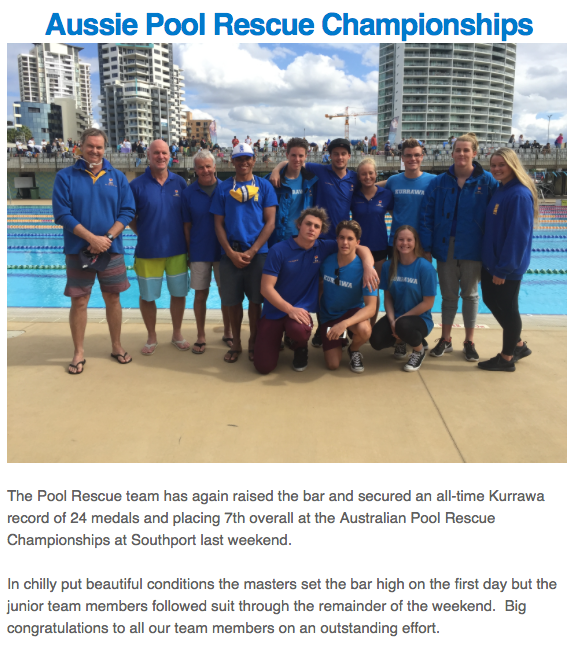 You may remember last year Aussie Titles in Perth when Jayden competed coming 4th in the Swim and 7th in the Iron-Man. Jayden said "This year I was very focused on Iron as the skills for perfection is harder to achieve with the combination of swim, board and run, next year the rules change as it will be harder again as it involves ski as well"
Another brilliant effort Jayden, we are all so proud of you!!! A couple weeks rest then back to training with Dennis Cotterell and Greg Hall. Thank you to everyone's support including his Uncle Pat flying from Sydney for every event, moulding Jayden into a champion for the future. Be warned Jayden has completed 50 of his 100 hours on "L Plates" so it won't be long now where Annette will retire from being the local taxi service. 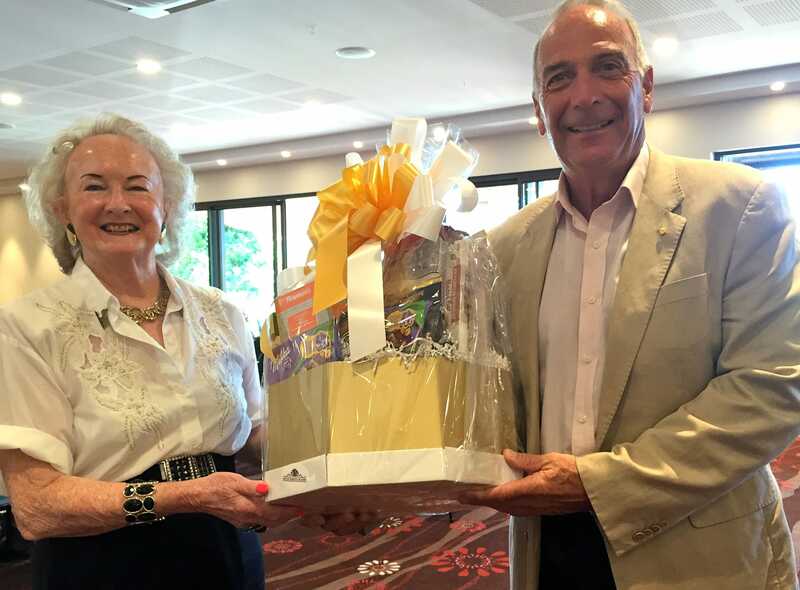 "RACQ Longest serving member 66 years"
My Mum, now 84 years old, invited me to a RACQ luncheon last week where over 200 guests attended the RACQ Gold 50 Club. She picked me up from home and drove to the Function Centre. The guests invited were all members of the RACQ for 50 years and over. The presentation evolved around safety and new laws and updated regulations for Queensland roads and additional benefits that the members would receive. The comedian was very entertaining paying out on all the young drivers and the old drivers crazy antics. 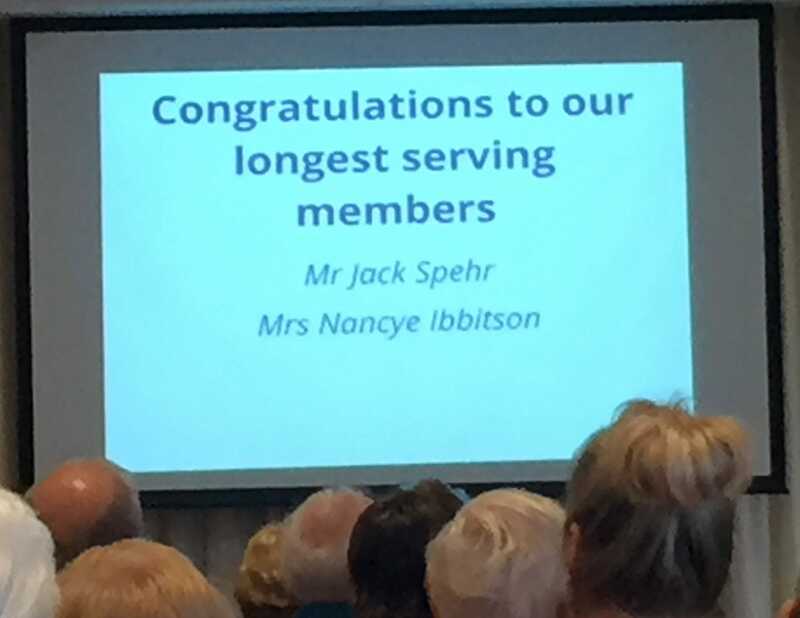 Then came the announcements with my Mum being the second oldest member of 66 years with the RACQ and still driving today. She was so excited to receive the prize, especially when Mum is a "Chocoholic"
Good on yeah MUM Tip Top's the ONE!!! 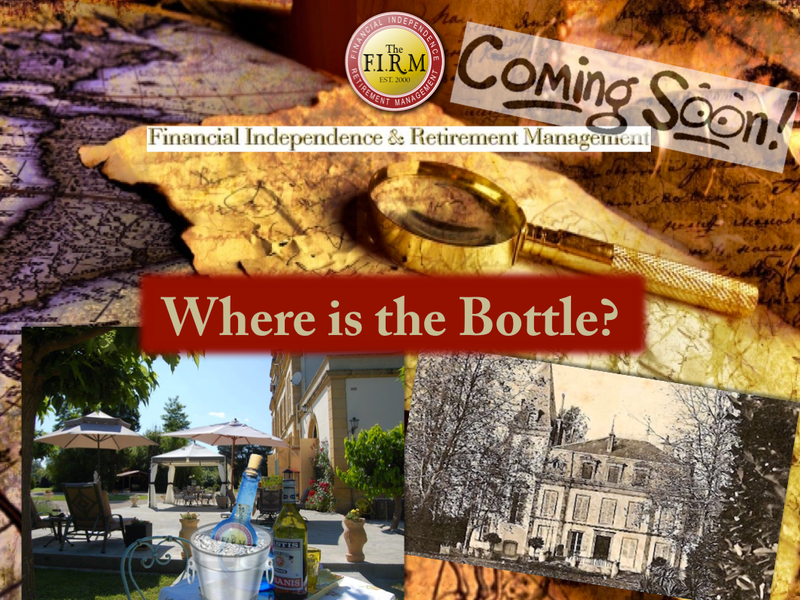 Retirement planning- are you too young? Too Busy? Too Old? Too Poor? If you are NOT interested, let me show you a few pictures highlighting the different lifestyles that we all face. There is more than a strong belief that poverty in retirement is on the cards for a majority of retirees, with concerns about finances being the cause of stress, unhappiness and even poor health. There is no easy solution available for many people even if they have a desire to act. Over commitment to the present day lifestyle is often hard to get out of, especially for those with families. But some action, no matter how small, will start building something that will help create a saving culture in daily finances to enable a rhythm to develop future security as the years go by. Ignoring the fact is doing nothing. 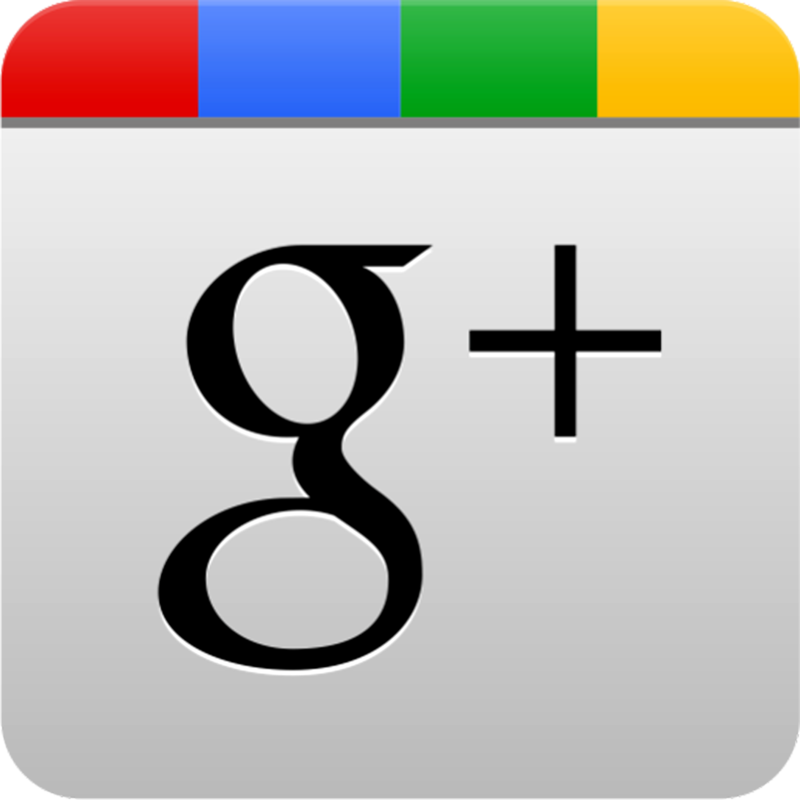 Talk to us for some solutions that you may not have already considered. "Million Reasons to invest in shares"
Is One Million Dollars enough to live on? 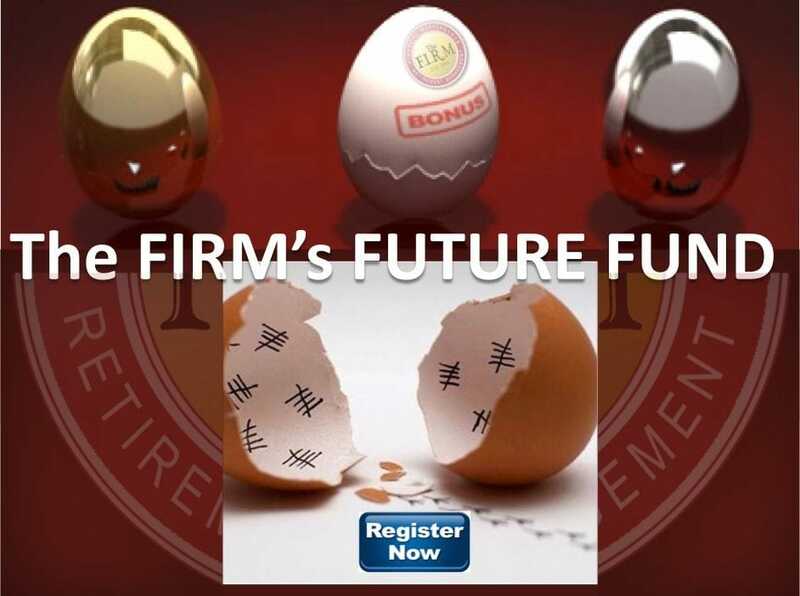 It's a tricky question, certainly a topical one, judging by the emails I received over the last couple weeks when launching The FIRM Future Fund. 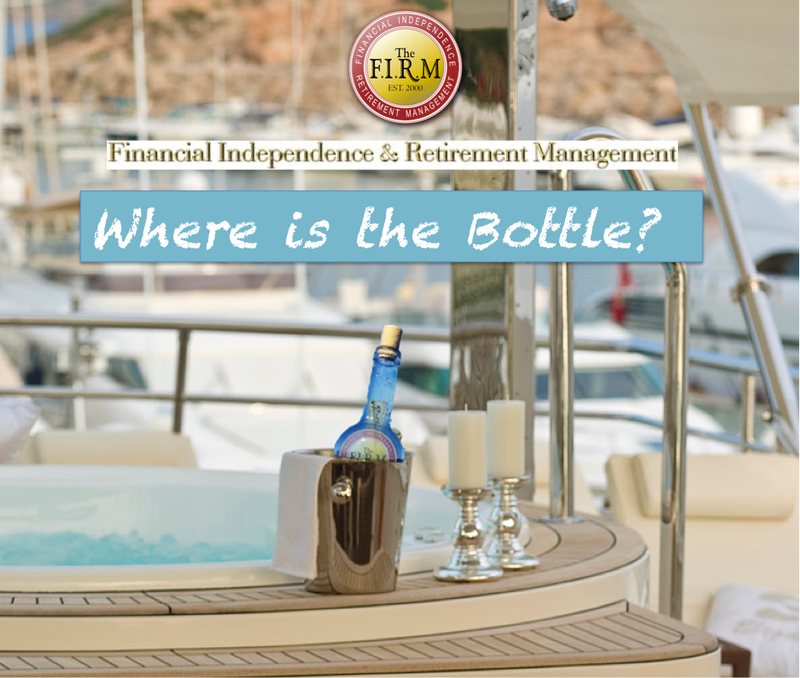 Many of us over the years have been staunch supporters of property and will continue to expand their property port-folios for the future, however there are many of us entering into retirement and we have to look at other alternatives to become liquid. A great article by Noel Whittaker in the Courier Mail over the weekend stated that Senior Australians are facing the perfect storm. 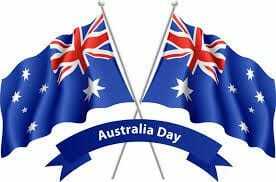 Interest rates are low and likely to go even lower, government finances are tight, access to the Aged Pension is going to be restricted, and it is likely that they're going to live to at least 90. As I have said for years, the younger you start investing the better your financial position, as many of you have already done now for years as we are all aware this generates compound interest and allows the time to work its magic and gives you time to gain experience handling a fluctuating port-folio. The only way to achieve better than bank interest is to go for growth investments such as shares. But does anyone seriously believe that a couple in their late 60's who have never owned a share in their life would be prepared to "risk" any of their capital in the share market? The reality is that cash deposits are about the only option they are likely to feel comfortable with, which means they will quickly start drawing down on their capital. At least as their capital reduces they will be eligible for a part age pension as what happened with my parents and they then discovered reverse mortgages. This was very exciting for them as they toured the world until my Dad passed away and left my Mum to sort everything out on a very limited budget, and yes she had to sell the family home and move into something more manageable. For me there was a serious lesson to learn from this, so we were looking for alternatives. Over the past 12 months we have been conducting due diligence and assessing all of our aging members to see what can be done. The FIRM Future Fund is a investment vehicle allowing those senior members another alternative to consider short term returns and also share in the developers profits of quality affordable seniors living communities. With the number of ageing Australians ever increasing, the need for more residential and medical care facilities is on the rise. For those seeking a home for an ageing parent or grandparent, looking for a safe, secure and comfortable place to ensure your loved ones will be happy and content can be stressful; as such this is the motivation for the formation of The FIRM's Future Fund to commit and to offer quality affordable accommodation and services to older Australians in the Newcastle Region. 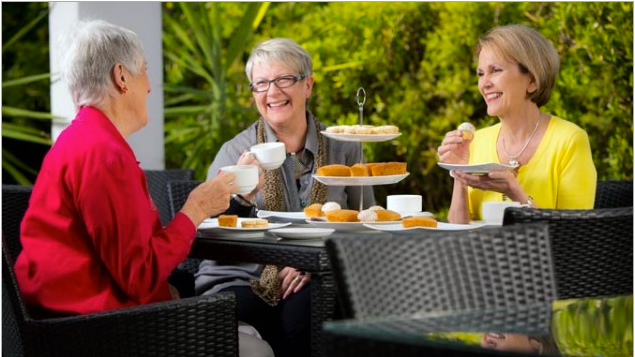 Simon Owen, Managing Director, Ingenia, a publically listed company who is a leading provider of retirement villages in Australia stated that there was a tsunami of demand in the area. I also want to thank everyone for their advice on the New Hampton style designs for our waterfront blocks in the CBD of the Gold Coast. Many of you addressed the issues of high level of maintenance which was great as this design and style would certainly be high on the list for maintenance however we will be introducing our powder coated aluminium and our crystal glass paint surfaces which has a lifetime guarantee. There will be many new features for our first development and welcome you aboard offering ideas that would benefit investment properties for the future. Judging from the response on the emails I think I should be looking for more waterfront sites. Thank you for your participation in the above survey! It is my pleasure to refer you to this new investment opportunity with Millinium Capital Managers Limited ("Millinium Capital"). The terms of this investment will be set in their offer document once it becomes available to the market. However, I would take the opportunity to let you know something early about it and set out some of the key features that could be attractive to investors. Millinium Capital is an Australian funds' manager with highly skilled teams that operates across three main lines of business. · As an Investment Manager we focus on managing listed investment portfolios in Australian Cash, Fixed Income, Australian and US equities. · As a specialist Asset Manager we focus on managing real estate assets and identifying capital solutions for large private and institutional clients within Australia and overseas. · As a Responsible Entity/Trustee we operate managed investment schemes that give tax effective outcomes for our investors. Millinium Capital controls over $600 million in funds under management and administration and is a top quartile fund manager. Millinium Capital has been in operation since 2006 and is regulated by the Australian Securities & Investment Commission ("ASIC"). Millinium Capital is looking to offer a new form of Income Securities to offer to certain investors with a general summary of the key features set out below. 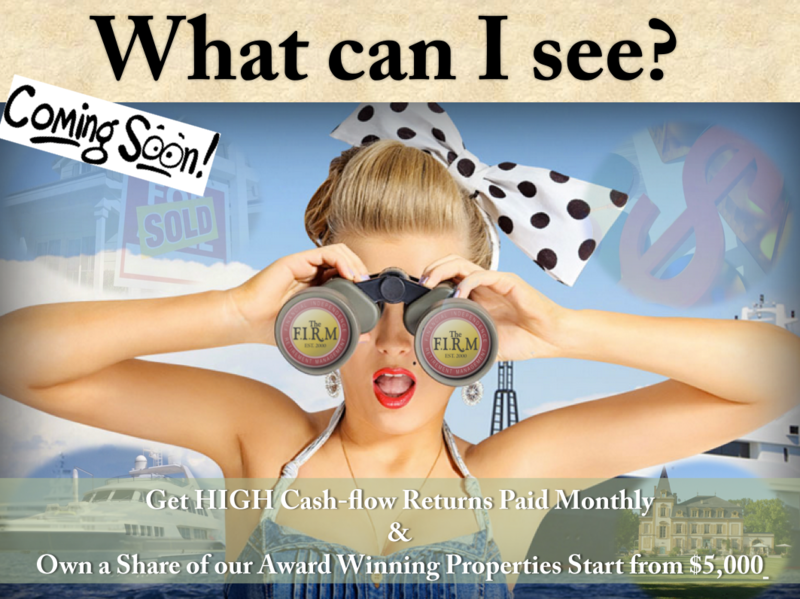 To raise up to $20 million in investment commitments from retail and/or wholesale investors. 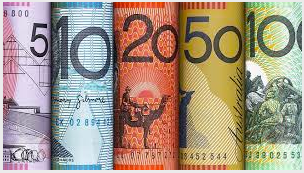 The capital raised from investors is to be deployed to identified assets to create a funds management business involved in the specialist activities in mortgage origination, mortgage processing services and mortgage securitisation services including treasury, trust management and asset management functions with offices to be located in Australian and Singapore. The companies will have a range of business arrangements, with aggregators and financial institutions including allowing for the purchase of other trail books to build revenue whilst the conversion process was taking place. The Singapore operation will look to and cement necessary relationships with private banks, retail banks and institutional managers to facilitate offshore funding lines for business in Australia. To offer a distribution income yield of 8% per annum on your invested based on the assets of the underlying businesses. The Income Securities share offer is non-redeemable until sale of the underlying assets or unless your Income Securities are acquired by another investor off market or there is an ASX listing for the underlying businesses within the next 3 to 5 year period. The Income Securities may also be listed on a recognised bond market for the ability to sell the Income Securities. I will of course inform you when this offer is available from Millinium Capital. 1. Millinium Capital will generally not accept more than 20 retail investors to invest in Millinium Capital within any 12 month period subject to the requirements of Corporations Act. No restrictions apply to wholesale investors allowed for acceptance. So, there you have it exciting time are ahead!!! The start of 2015 is already in full swing now thanks to our dedicated team working diligently over the Christmas/New Year break. I am very proud to announce a new chapter in the growth and evolution of The FIRM. Many of you remember the exciting time when we launched The FIRM Money back in 2006 where we delivered Property Finance that had all the major banks scratching their heads. Well this time around it's just as exciting, except we won't be relying on a bank to do the right thing to our members. We are poised to build the foremost customer focused financial and investment network in Australia. Our plans are well advanced in the creation of what we anticipate will be the biggest non-bank lender in Australia. As you can imagine, this is a massive undertaking that involves dealing with overseas financial institutions and financiers. We are also working on new exciting development opportunities, including utilizing our proprietary building technologies that deliver finished building stock in around 6 weeks. 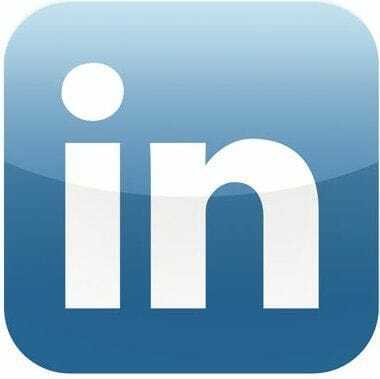 We are also investing heavily in the development of information and marketing platforms to keep our members up to date with news and reviews in the market and upcoming opportunities. 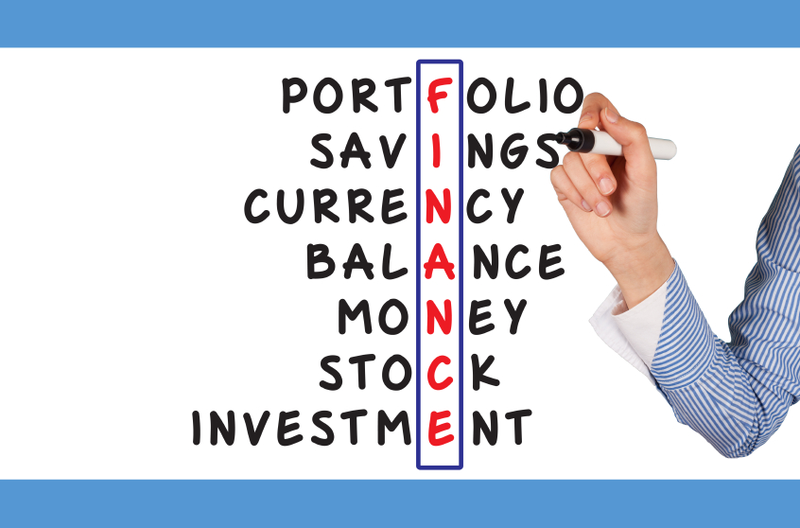 A number of our members have asked for help in managing the transition from accumulating assets to retirement and drawing down from investments. We have identified a Financial Planning model that we believe can help our members make this transition seamless and far less stressful that the typical solutions in the community. We are looking to raise $10 Million, to complete all the above and have the whole network operating seamlessly by the middle of the year. We are finalizing the investment offer at the moment and we expect to be offering an 8% p.a. return paid monthly. We'll have more details of the offer in the next week. In the meantime if you are interested please register by replying to this bulletin. 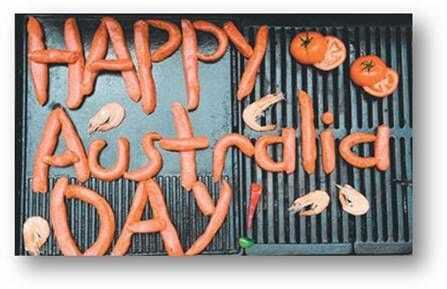 Have a great Australia Day weekend!!! Well, wasn't that a quick break, trust you have recharged the batteries and you were good for Santa and didn't over indulge. There was a rush on property sales before the end of the year across many projects, this was mainly due to our National expansion of developers. Property analysts' are predicting a year of steady growth in South east Queensland for 2015. This is exciting news as we launch our very own first modular building project under The FIRM Constructions now that our FIRMTEC Panel has full Australian certification after 7 years. The first project is in our own sandpit here on the Gold Coast so stay tuned. 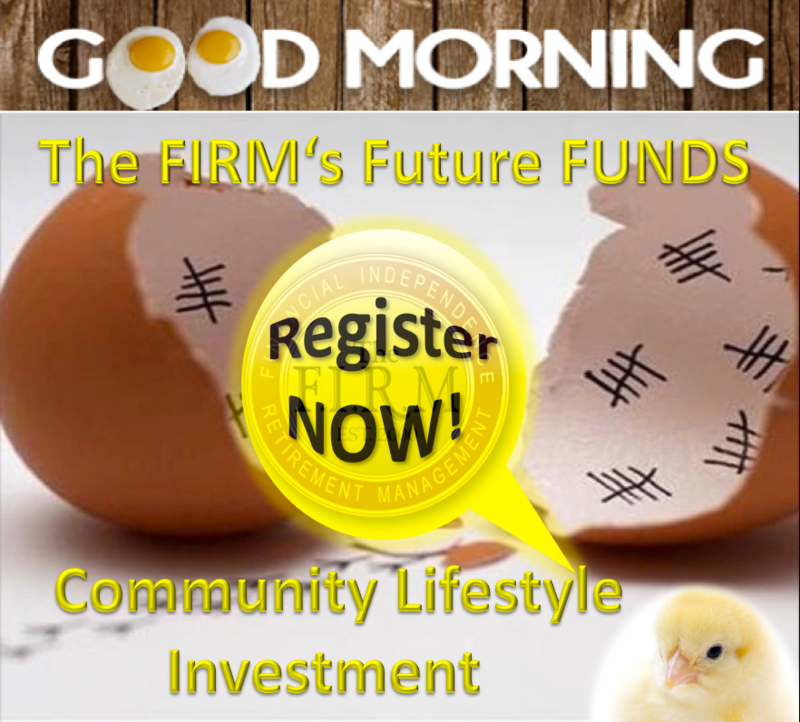 Be the first to register your interest! Top financial experts have changed their minds about the interest rates in 2015 after the Reserve Bank kept rates on hold for December. Due to the massive expansion of members last year. They are now forecasting a possible cash rate drop this year, which could be great news for mortgage holders, however it may heat up competition for first home buyers. More about this later as we are structuring an opportunity that will be extremely beneficial to all members. We need your advice Can you HELP us! We are creating and developing a weekly lifestyle program with news and reviews on all the topics that interest you that you can view on any device, your laptop, tablet or mobile phone. So stay tuned for further details as they become available. Registration is NOW OPEN to SPONSORS which allows you the opportunity to promote your product or services at very competitive rates. We need your advice Can you help us!!! Have a great week especially if you are still in holiday mode Lucky buggers!! !